Auto racing is filled with excitement and entertainment, but it is also filled with horrific crashes and nightmares. 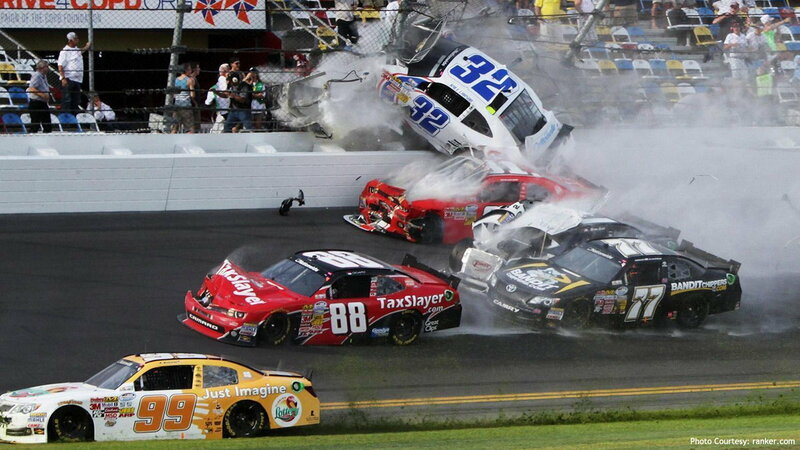 This horrific accident took place on the final lap at Daytona International Speedway. Number 32 was driven by Kyle Larson, which came in contact with Justin Allgaier and Brian Scott, number 31 and 2, respectively. Unfortunately, the crazy airborne car did injure a number of spectators. This is considered a freak accident, and even though fan safety is one of the top priorities for Daytona, sometimes crazy things can happen. >>Join the conversation about the Worst Career Ending Accidents in Auto Racing right here in the MBWorld forums. Every now and then, car racing fans get to experience horrific incidents that remind us all of the other side of auto racing. The drivers make extreme sacrifices to give their fans the most entertaining races they can give, but sometimes, things don't go their way. 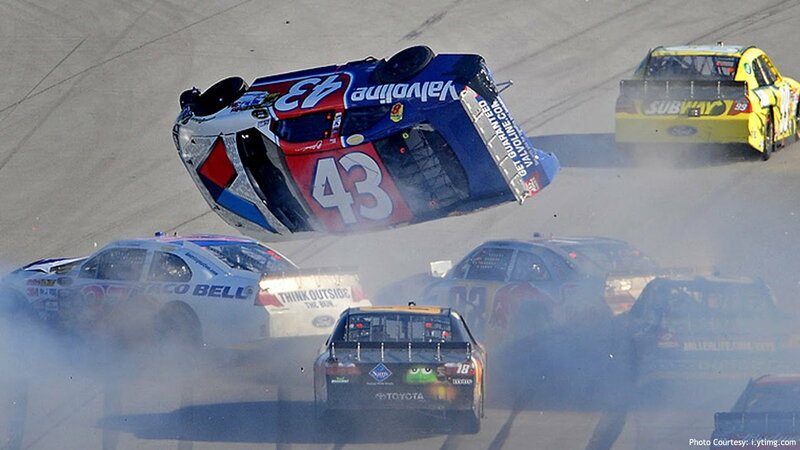 Number 43 is literally flying higher than all of the other cars on the track, and the landing can't be gentle. 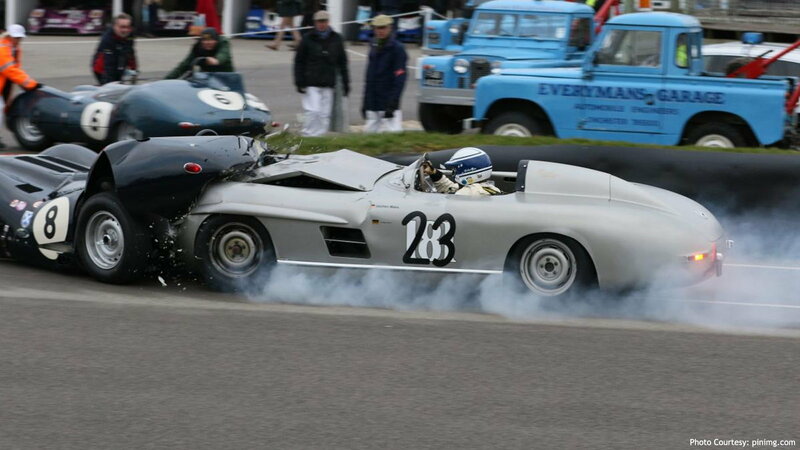 At the Goodwood racecourse, a Mercedes-Benz 300 SL crashes into a rare Lister-Jaguar. It appears the Mercedes isn't going to be badly damaged; however, the Jaguar is extremely bent from the rear, and you can't even see the driver anymore. Unfortunately, cars like this don't have a lot of safety feature or even a roll cage to protect the drivers, so let's just hope the driver made it out alive. At tracks like the Indianapolis 500, race cars can reach tremendous speeds. 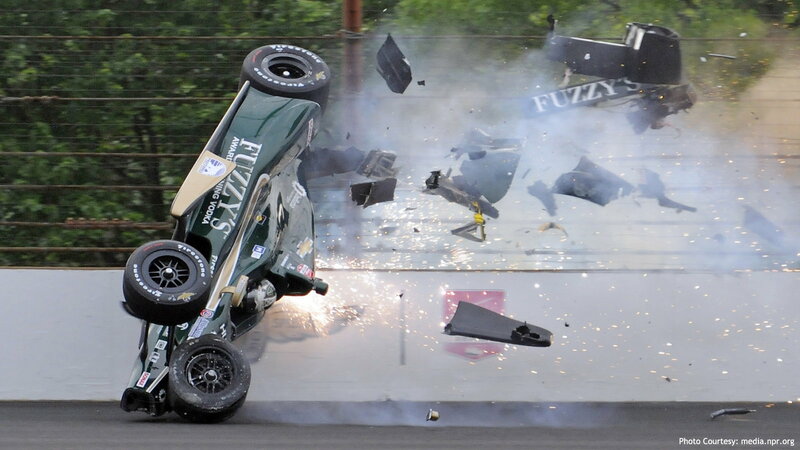 This crash happened during practice for the Indy 500 qualifications, and fortunately, driver Ed Carpenter emerged from the crash miraculously unharmed. Cars flipping in the air like this shows the true danger of this sport, and how everything can happen at any given moment. 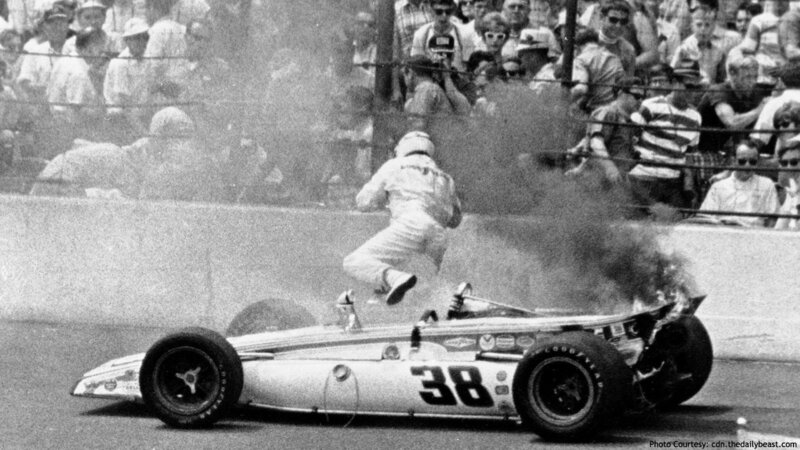 As horrifying as this may seem, Jim McElreath actually leaped out of his car as it burnt to save himself back in 1969. This took place on lap 30 during the 53rd Indianapolis 500 race. Jim ended up finishing at 28 out of 33 cars, showing all of us that people do get second chances at checkered flags.